General TV Channel / Jan TV is a satellite television channel from India owned by CSL Infomedia Pvt. Ltd. It was inaugurated by the Chief Minister of Rajasthan, Mr.Ashok Gehlot on 13 May 2012 in Jaipur. Jan TV Editor-In-Chief is Mr. Surendra Kumar Surana, who is also the Director of CSL Infomedia Private Limited. 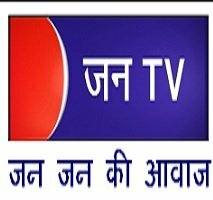 Jan TV telecasts Hindi news, education, employment, agriculture and entertainment programs. Jan TV is available live all over the world through live streaming on its portal.